But at least this is a very interesting salad. I wouldn’t immediately think to pair radishes with parmesan cheese — but if you know how well they go with butter & salt, pairing them with a cheese makes all the sense in the world. I used chef and restaurant owner April Bloomfield’s recipe from her new book A Girl and Her Pig called “The Claw” (a reference to tossing the ingredients together with your hands). 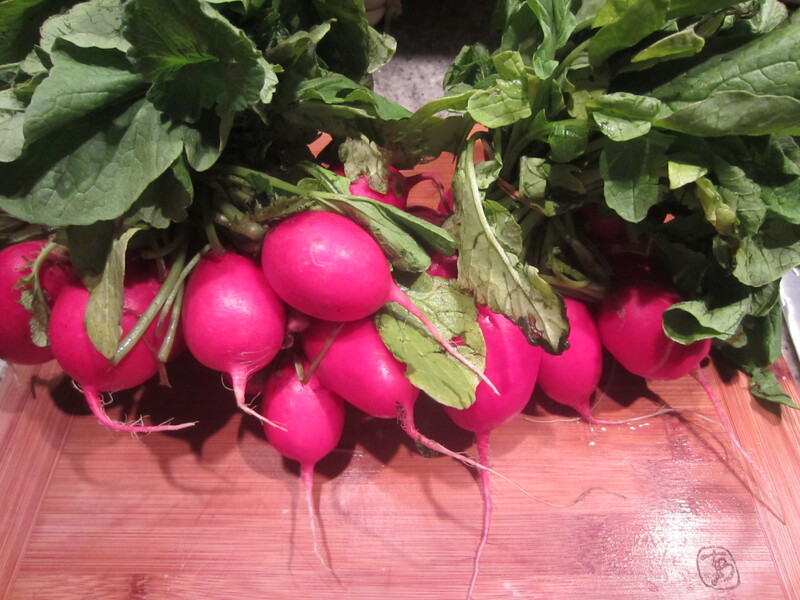 Slice the radishes into bite-sized pieces and put them in a bowl with the basil leaves and three pinches of flaked sea salt. In April’s words “smoosh” all of those ingredients together for about 30 seconds to release the basil’s oils. Add the cheese and “smoosh” some more until some of the cheese becomes a creamy dressing-like substance, with the remaining cheese still in chunks. Toss together with greens, lemon juice & oil (about 3 tbsp) and serve! I enjoyed this last night with some pan roasted chicken and a glass of sauvignon blanc on my rooftop. Perfect summer meal! 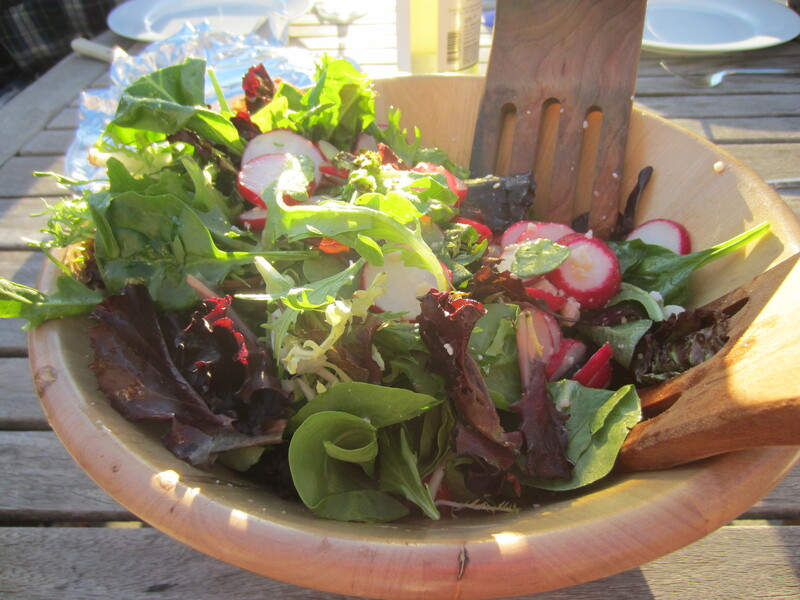 This entry was posted in Radishes and tagged April Bloomfield, dinner, lunch, parmesan cheese, radish, salad, side. Bookmark the permalink.